ZLINE 30 in. 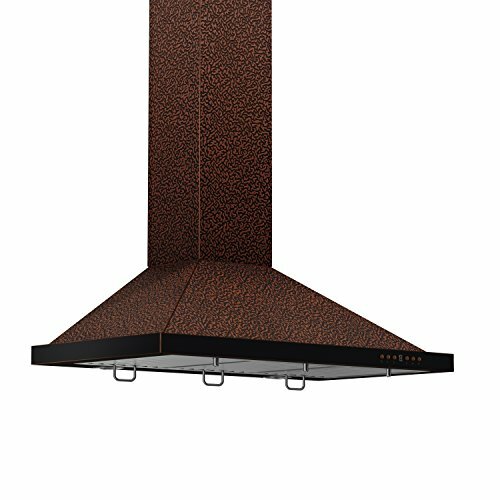 Designer Series Wall Mount Range Hood with Embossed Copper Finish. This 760 CFM wall mounted range hood quietly and efficiently moves large amounts of air away from your cook-stove area. This beautiful, modern-looking range hood has an embossed copper finish and elegant crown molding. Modern design includes 4-speed fan control and removable dishwasher-safe filters. Comes with everything you need to easily install and use for years to come, including a free LED light upgrade.